There’s a god for death, a god for war, a god for harvest….there’s a god for everything! And every single day, each one of us would worship or own personal gods. These are all still apart from the denominational gods we worship for the sake of mainstream religions. You have probably heard of all the different gods that both the modern and ancient world has to offer, in one way or another, but have you heard of the God of Visionary Art? 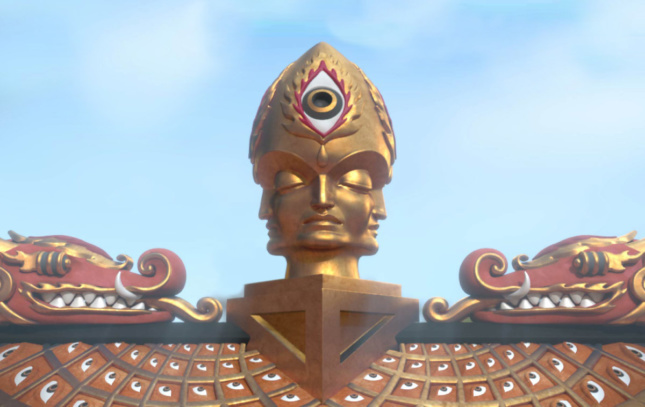 He (or She) is the god responsible for the psychedelic temple currently underway near the Hudson River. Like a secret magical shrine hidden within a 40-acre plot, the structure is probably one of the oddest structures to be ever built in upstate New York. Baptized as the Entheon, this structure (which some people believe to be “DMT-inspired”), once built, is going to be the Chapel of Sacred Mirror’s first ever temple. CoSM, which first started as a non-profit charity received official recognition as a legitimate religion in 2008. It was founded by husband-and-wife artists Allyson and Alex Grey way back in 1996. The Entheon will be a temple none like any other, as it is going to be both a spiritual and artistic space. Some of CoSM’s spiritual practices, after all, involve musical meditation and art creation ceremonies. 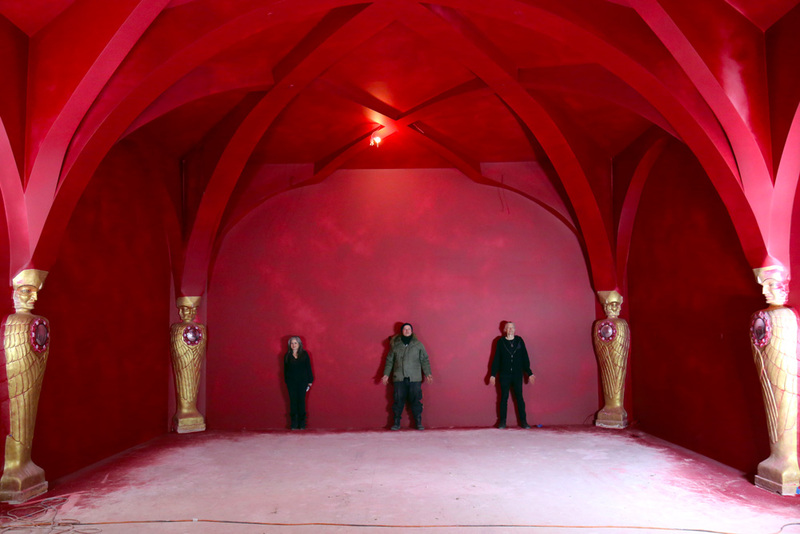 In fact, the temple itself will hold multiple galleries to house CoSM’s permanent art collection. Hence, the pieces which are going to be displayed, are not going to be just ornaments made to inspire spirituality (as is the case of other churches and temples), nor were they created as physical representations of divine imagery, as objects of worship. They may also be looked upon as works of art, such as how you would view displays in a regular art gallery or a museum. Visitors of this temple in the future must bear an open-mind, though. The structure itself—both its exteriors and interiors—can be downright weird, for lack of a better term. It’s going to be a three-level structure, which will look like a big, enclosed, and rectangular Asian gazebo. 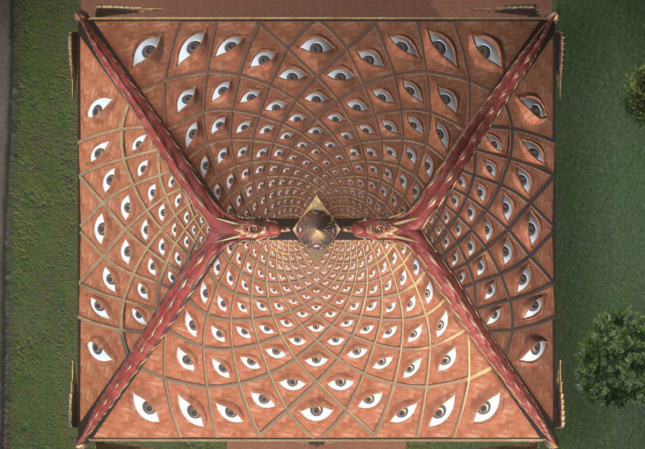 Its roof will have hundreds of eyes looking up to the sky. 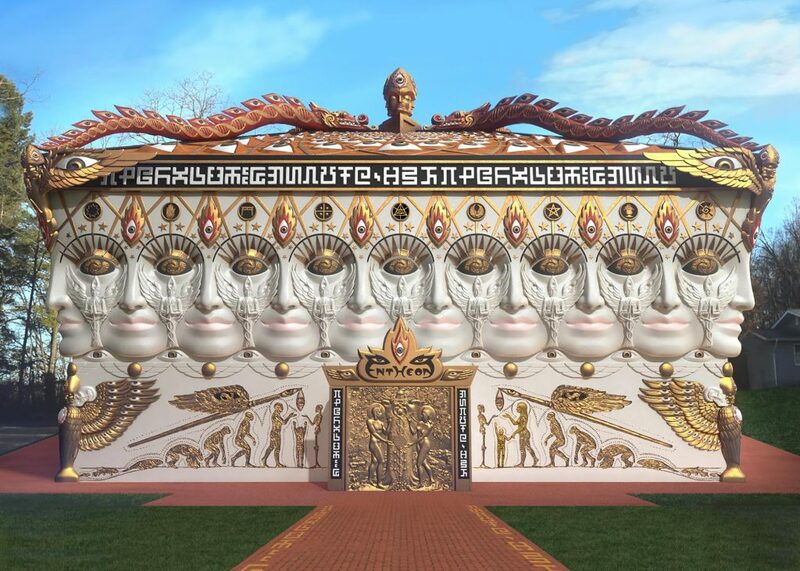 Its white-walled exteriors, according to the rendition, will be surrounded by giant “Godheads” interconnected with each other. Other religious symbols and imagery, collected from different cultures across the world are also in sculptural relief, such as all-seeing eyes, dragons, angels, among many others. Its interiors are going to be just as rich. With halls made of brick with golden arches and vibrantly red walls, with as many mythological and divine symbolism as its exterior walls. A Kickstarter account was started in order to raise the funds needed for the construction, and upon writing this, the $2.8 million goal, is now only $500k away from fulfillment, which says a lot on how soon we can expect the Entheon from reaching completion. Dragons have always been fascinating creatures of myths and legends. They appear across all cultures, from the winged wonders of the West, to the benevolent protectors of the East. Hence, it is no wonder that they frequently make an appearance on mankind’s great works of art from visual arts to literature. 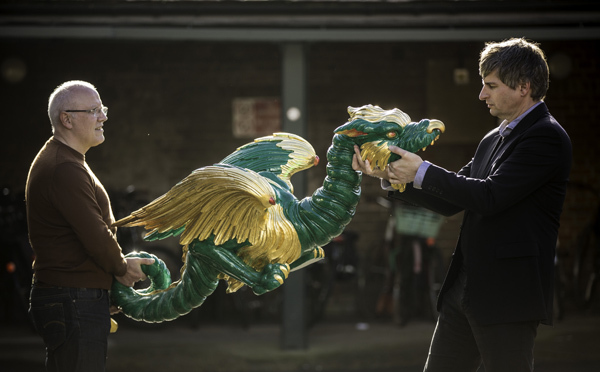 Such is the case of The Great Pagoda at Kew Garden, where eighty dragons have recently made a reappearance as part of the pagoda’s restoration. The Great Pagoda, designed by Sir William Chambers in 1762, was the first significant Chinese-influenced structure in Europe. It was made as a gift to Princess Augusta the founder of Kew’s botanical gardens. The octagonal tower which stood ten storeys high was so unusual at the time it was built that people did not believe it will stand the test of time, only that it offered the best bird’s eye view of London. But it did stand the test of time. Two hundred fifty six years this year, to be exact. What didn’t stand history’s wear and tear, though, were the eighty dragons perched on its roofs, guarding the pagoda silently as their gold-gilded wood slowly rotted away. Thanks to the restoration project, however, the dragons have been reborn. Clad in their brilliant colors, they have reclaimed their perches as guardians of The Great Pagoda and a secret—that 72 of their dragon brothers are 3D printed, and that only eight of them (those perched at the lowest roof) were hand carved from cedar wood. Apparently, eighty hand-carved wooden dragons would be too heavy for the existing structure, and doing so would have required conservators to reinforce the existing structure with steel rods. While some people might find these new dragons looking quite kitsch, conservators assure us that the design was very true to its history. This is really how chinoiserie dragons looked like back in the 18th century, and how Chambers would have wanted them to look like. With the installation of these dragons, the £5m restoration project which took two years is now complete and The Great Pagoda will be open to the public again. Visitors can now book tickets starting July 13. 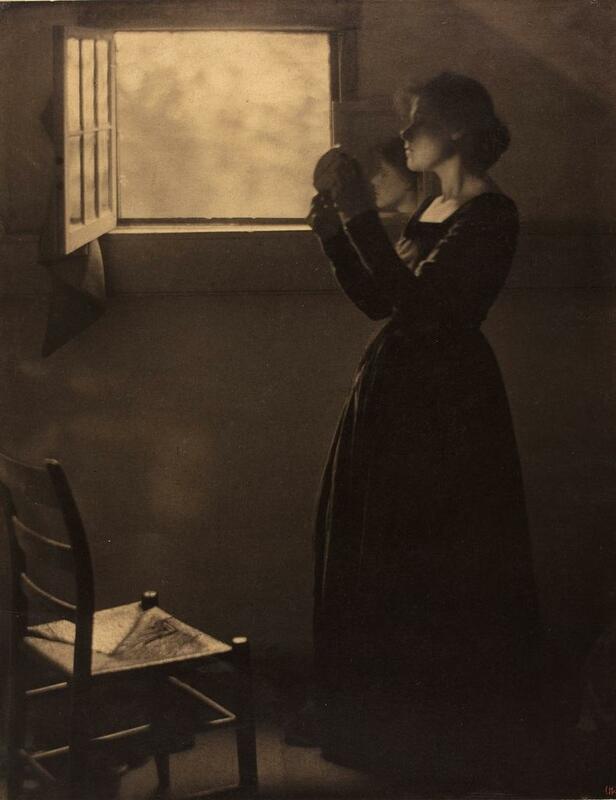 There’s something quiet about Clarence H. White’s photos that captivates the calm within all of us. The simple, almost unscripted scenes of everyday life are so masterfully done that almost everyone can relate to them in one way or the other. White is probably one of the greatest influencers in photography of the early twentieth century, not just because of his works, but also because he was considered as one of the most important photography teacher of the time. A lot of his students became notable in the field as well, names you might even find more familiar than their master’s: Dorothea Lange, Ralph Steiner, and Margaret Bourke-White just to name a few. White was attuned with his contemporaries as well, and was one of the founding members of the art movement Photo-Secession, a movement which daringly pushed the limits of photography and turn them into almost painting-like works of art during a time when photographic images were taken as direct and factual representations of real life. He was one of the forefathers of photo manipulation—not as the same way as how we perform photo manipulation today with the help of various digital photo editors—but much more organic, done within the confines of a dark room, manipulating light as if it were liquid on film. Those who want to view White’s work first hand may visit an on-going exhibition of his works, “Clarence H. White and His World” which will run from June 22 to September 16, 2018 at the Portland Museum of Art. It will not only contain his photographs but also a lot of memorabilia and curious ephemera—including an interesting condolence letter from another Photo-Secession founding member, Alfred Stieglitz addressed to White’s widow. The two had an unfortunate falling out in 1912 on the account of Stieglitz’s overbearing ego. Fast forward to today, we now see their names side by side again, under the collective label of pictorialists. Photographers whose works transcends the representational. White’s most notable works himself, echoed Japonisme and ukiyo-e prints, in particular. Ukiyo-e, which is defined as “pictures of the floating world”, can also directly translate to “pictures of a sad and troublesome world”…and don’t they capture the very essence of White’s work in entirety? Photos that look as if trapped in time, in a world of floating existence, while also pouring out emotions of quiet melancholy. His works, truly, are dream-like, and definitely something worth seeing.